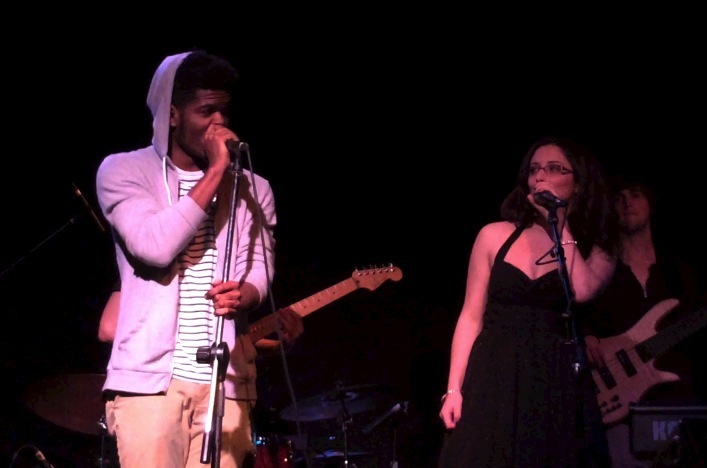 Vanessa Lynch has been circling the spotlight for a few years now, surrounded by and performing with some of Wilmington’s brightest talents, while remaining somewhat under the radar. Until now. Lynch’s debut album Walking Blind is thoughtful, deliberate, and musically rich. Credit is due to her band, all accomplished musicians in their own right, who weave a rich tapestry around Lynch’s voice without overpowering her. Also noteworthy is the overall positive message, a theme of rising above adversity using the fuel of inner strength. Musically, most of the songs harken back to an earlier time, putting a modern spin on funk-spun soul. The album opens with title track “Walking Blind.” The instrumentation is gorgeous, right from Luke Wilson’s first drum beat into Nicole Mancini’s violin intro. The song itself is catchy and Lynch’s voice is emotional but controlled, a task she makes seem easier than it is. The pop soul melody sets a nice tone for the rest of the album. “Glow” is the song that should appear in whatever happens to be the next girl power movie of the year, meaning that this is what young girls (or women, or really ANYONE) should be singing along to. “Girl, get your shine on…let your inner beauty show, and glow.” It doesn’t hurt that the song itself showcases some beautiful vocals, including some fantastic backing harmonies. Lynch gives a nod to her adopted home in “Carolina.” The song is the most folky-sounding song on the album, an appropriate vehicle for ruminating on how moving to the south has changed her. As a fellow Yankee transplant, I can definitely relate to her lyrics expressing heartfelt love for her new home. “North Carolina has given so much to me,” indeed. “My Flower” is adventurous musically in a way that seems to really bring out the rich emotion in Lynch’s voice, even as she navigates back and forth across a (very effective) time change. 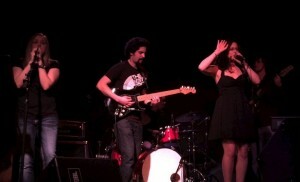 She flexes creatively on this song and her band follows suit. The motown sound throughout segues into a guitar solo at the end that downright blazes. Nothing pulls a listener out of a sad funk like…funk. And the next two songs are downright funky. “Strange & New” has a beat and a bass line that, combined with Lynch’s outstanding vocals and harmonies, perfectly capture the lustful fun of a new love affair. The chorus really makes me want to dance, and there is a killer bass solo from Taylor Lee. “How Dare You” continues the dance trend while also revisiting the theme of empowerment. Lynch’s voice is powerful and full of feeling as she repeats the line “How dare you,” folding herself into what sounds like an old-school soul jam. Buckley swoops in at the end and delivers an exceptional guitar solo. Lynch smartly ends on an upbeat note, but one that also showcases her creativity. 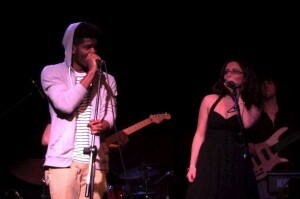 “Shouldn’t Let Me Go” starts out on an upbeat note and then takes a turn into a dark and spooky bridge in the middle. Just when I think I’m going to get sucked into the piano-and-violin-heavy scary dark place, the sunny guitar and vocals rescue me and place me gently back into pop bliss. The song is catchy lyrically and melodically, and is a great finish to what is a strong debut album. 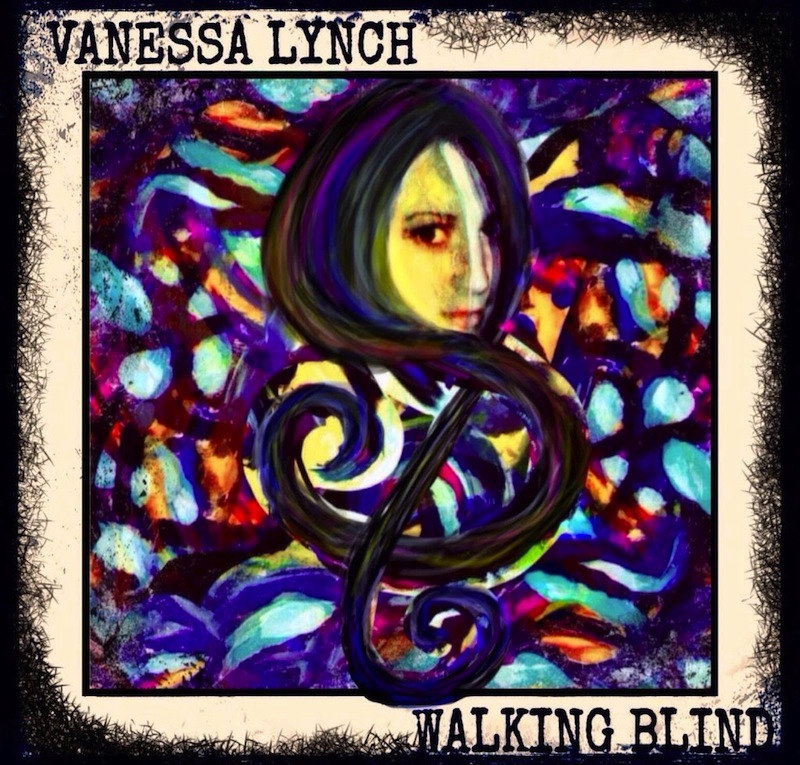 Vanessa Lynch has delivered some great music that is very much its own sound, a rarity in today’s over-homogenized market. After being up-and-coming for the past few years, Lynch has shown that she’s ready to arrive. Vanessa Lynch doesn’t just shine, she glows. Walking Blind is available online on iTunes, Amazon, and all other major digital retailers, as well as locally in Wilmington, NC at Gravity Records and Steele Music Studios. 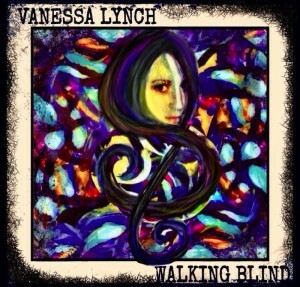 You can keep up with Vanessa Lynch online at http://www.reverbnation.com/vanessalynch and https://www.facebook.com/vanessalynchmusic.